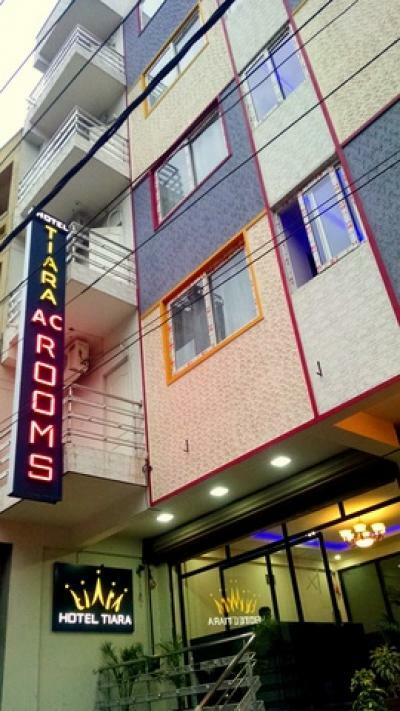 Hotel Tiara is a 27 room property, beautifully designed with every item in each room, handpicked by a team of interior designers and hospitality consultants from the best stores of the city to offer utmost luxury and cosiness to our most valued customers. Doesn’t matter if you are on a business trip or holiday with your family, a stay with us will help you unwind and leave all your worries behind. Centrally located in the IT city, Bengaluru: we promise an easy access to some of the best landmarks of the city, as in the likes of MG Road, Forum Mall, Brigade Road, Koramangala, Majestic, Lalbagh, etc. to name a few. In spite of the very fact that we are centrally located - a stay with us, ensures calmness and serenity, needless to mention an 'away from the city's mad rush experience' once you enter into our property. Come, rest your worries aside and have a relaxed ‘n comfortable stay with us. We will try our best to make you feel great with the best of our services and also make sure your first choice of stay would always be Hotel Tiara whenever you think about traveling to our very own Bengaluru.